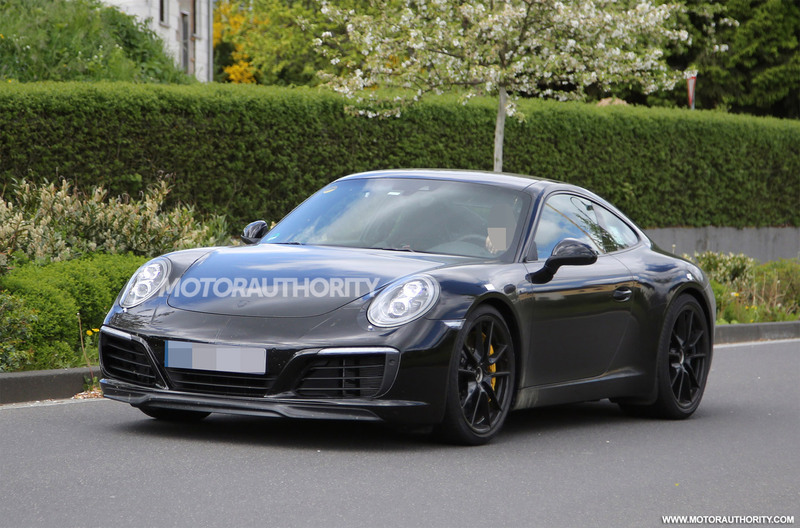 A facelift of the present Porsche 911 Carrera has been recently caught on shots while the sports car was wondering the streets, with no camouflage to wrap the body. 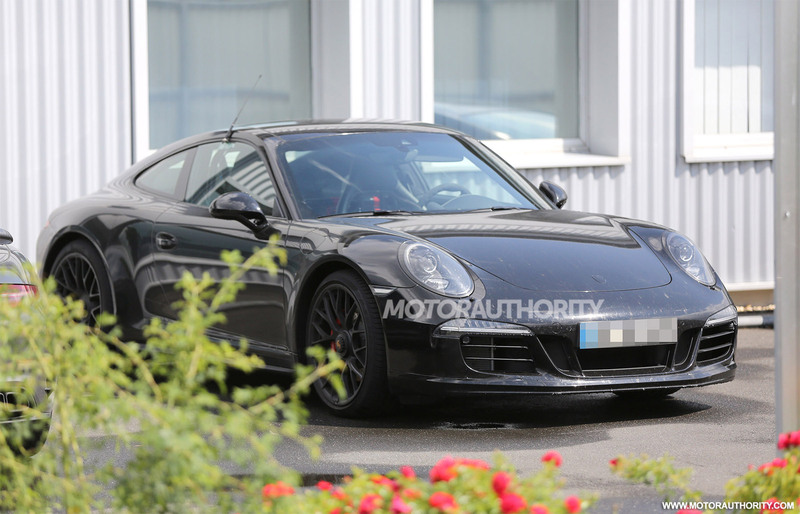 This might be the second generation of the Type 991, first unveiled at the 2011 Frankfurt Auto Show, which will be dubbed the Type 991.2. 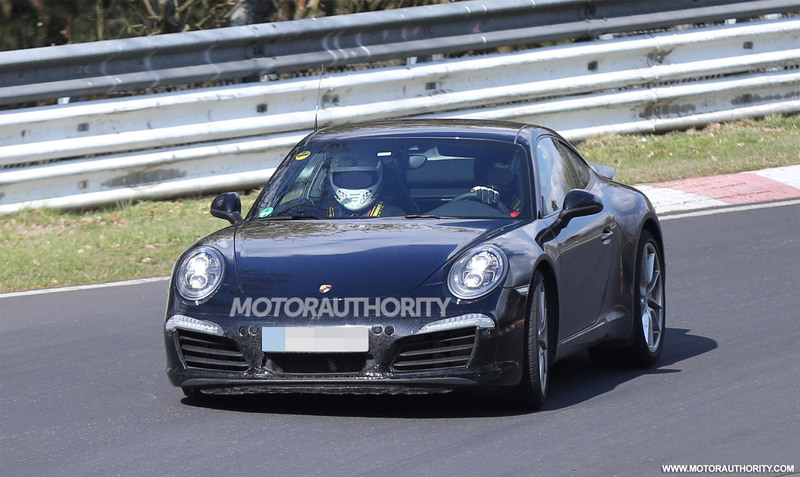 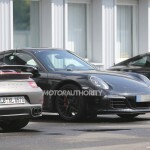 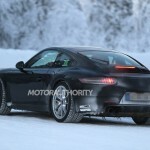 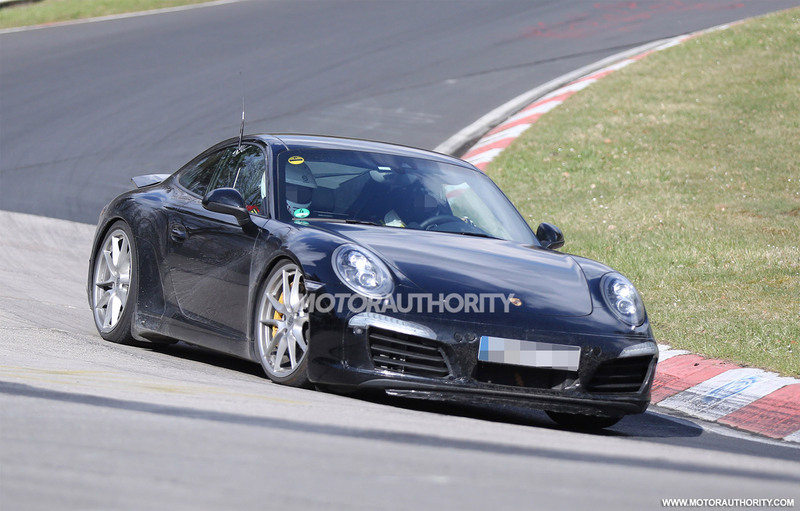 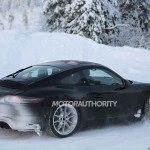 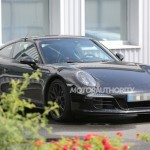 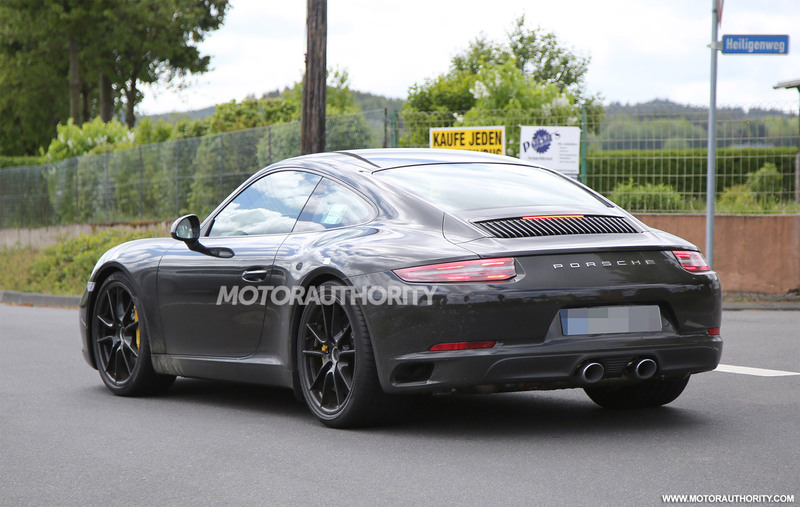 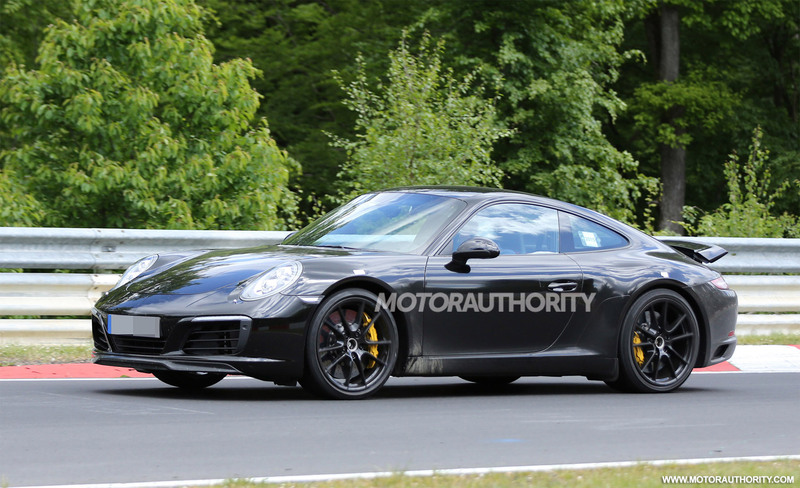 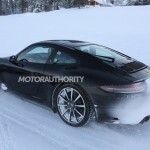 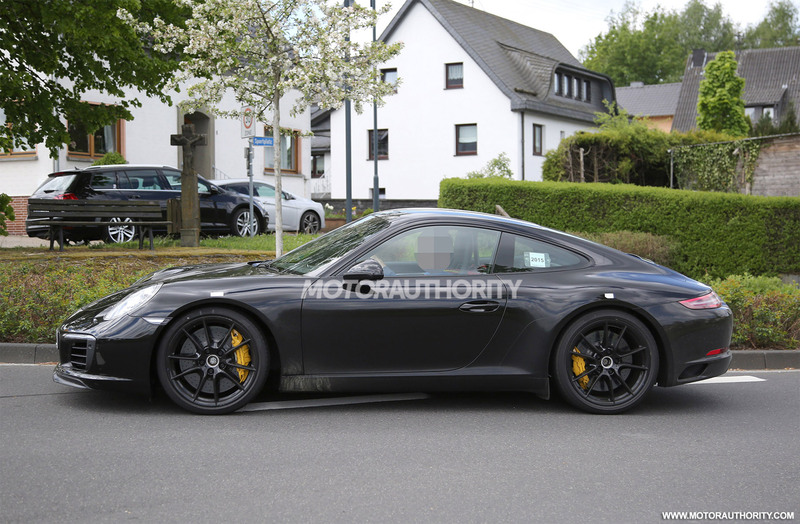 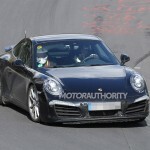 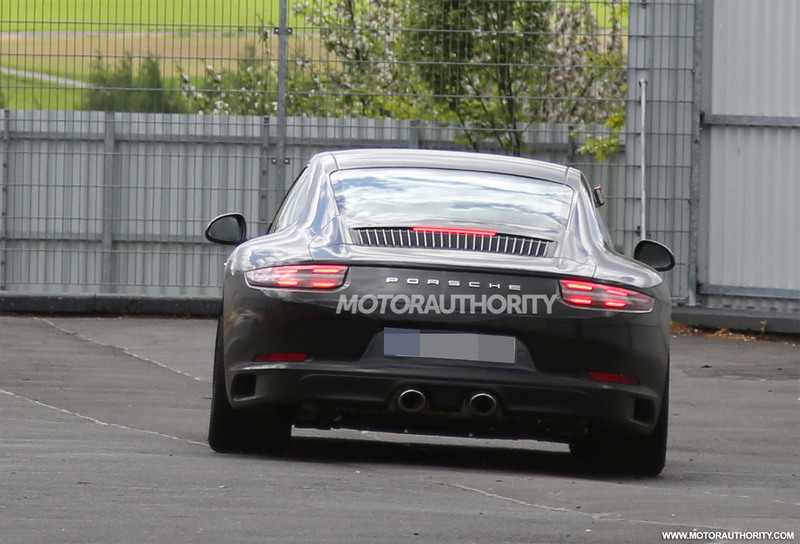 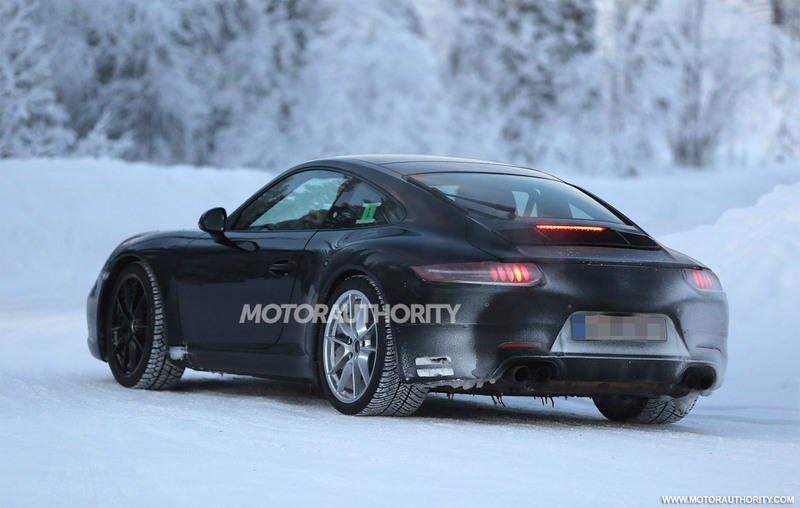 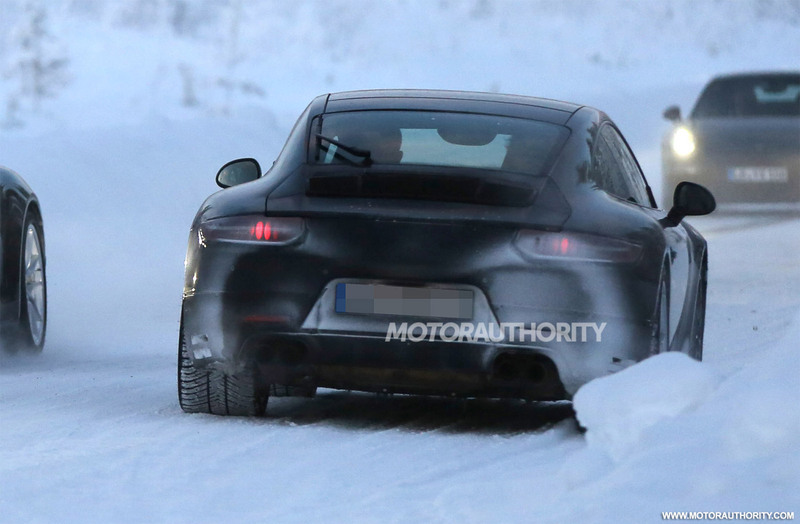 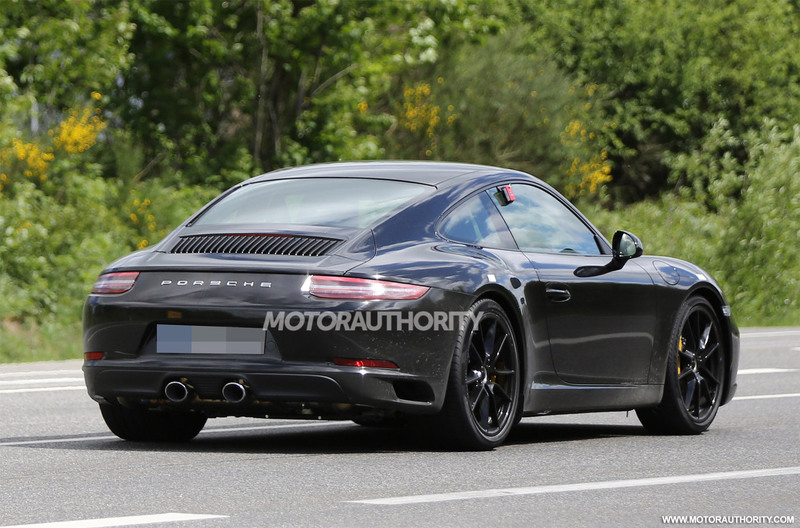 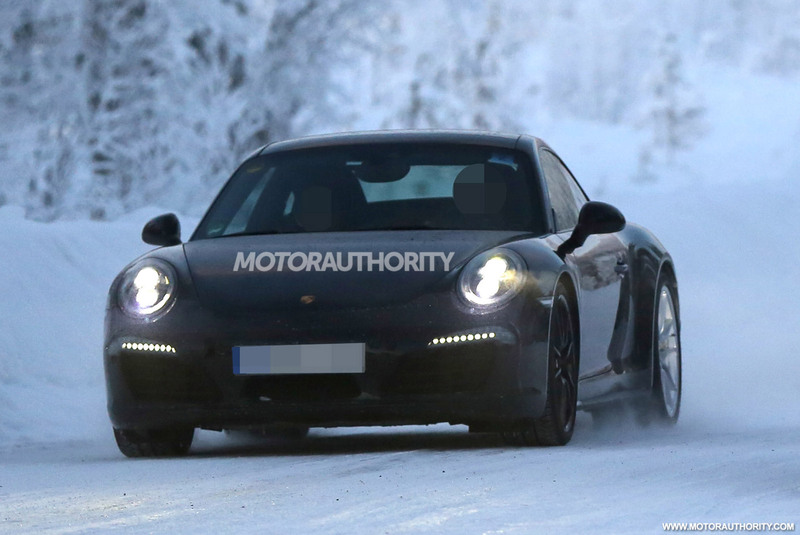 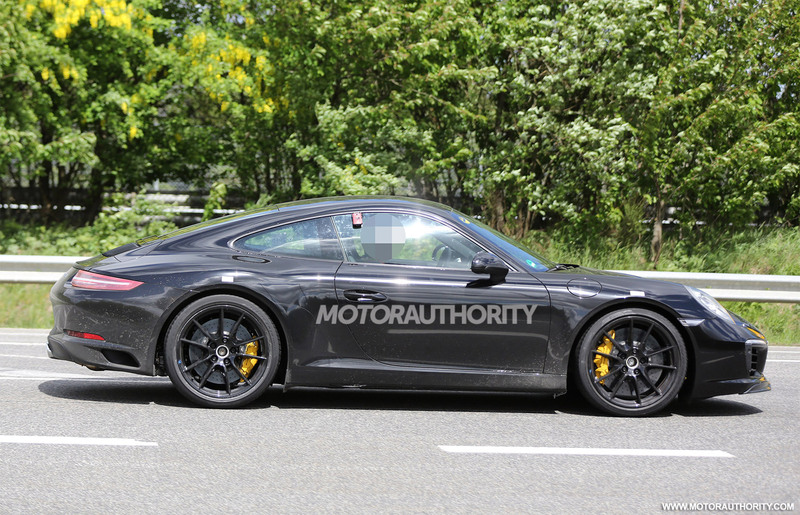 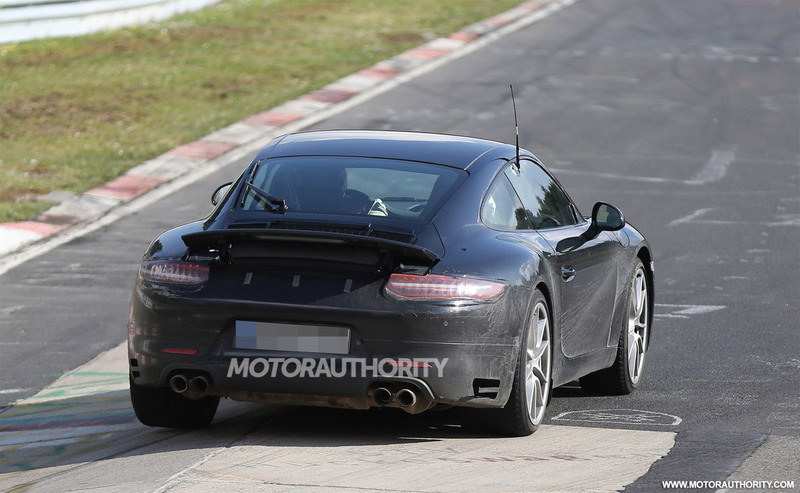 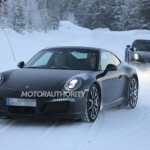 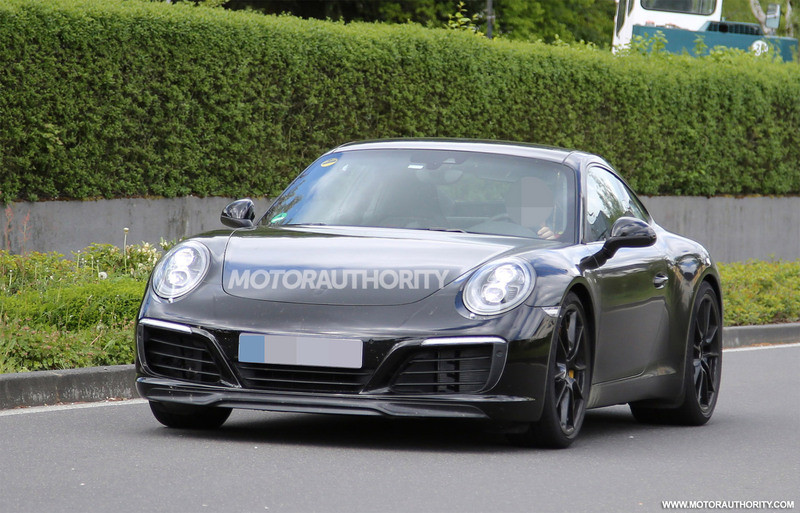 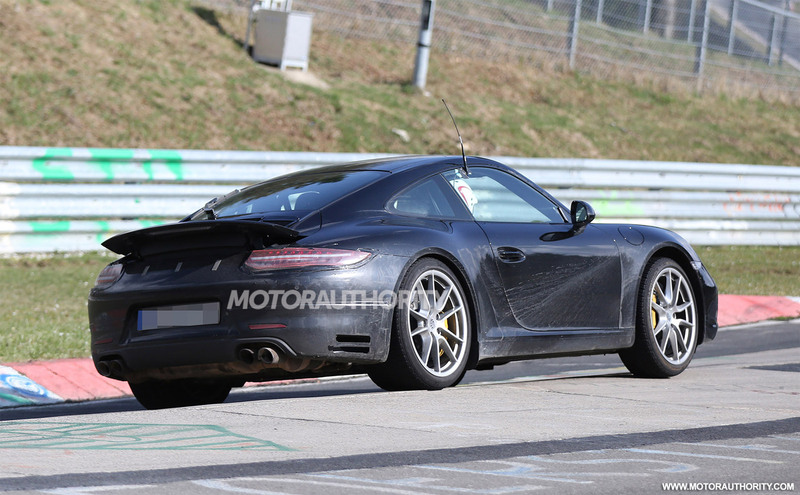 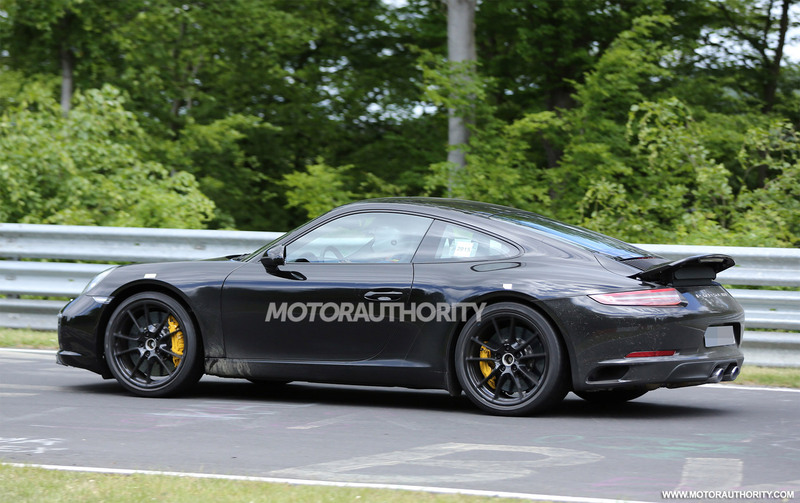 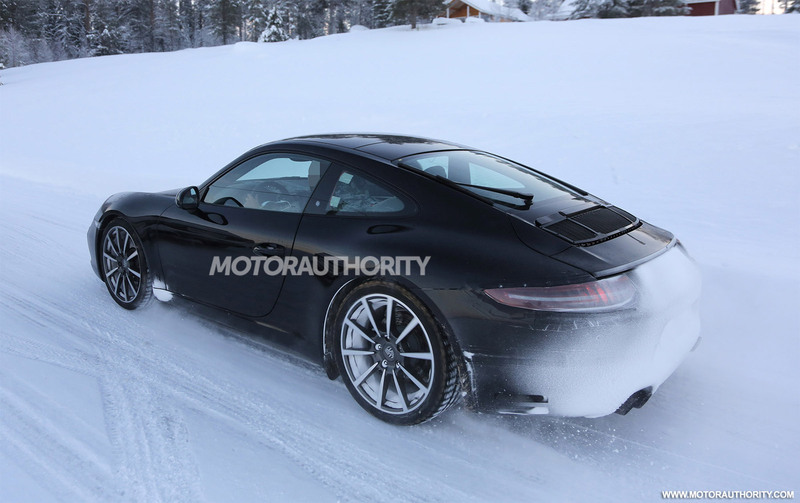 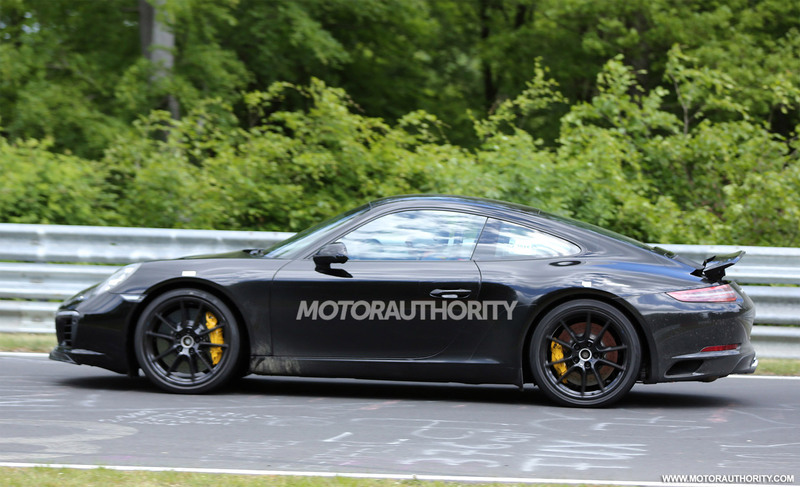 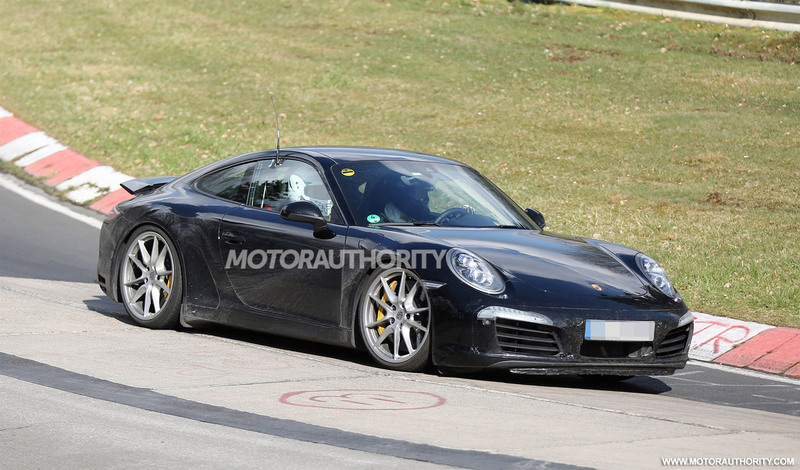 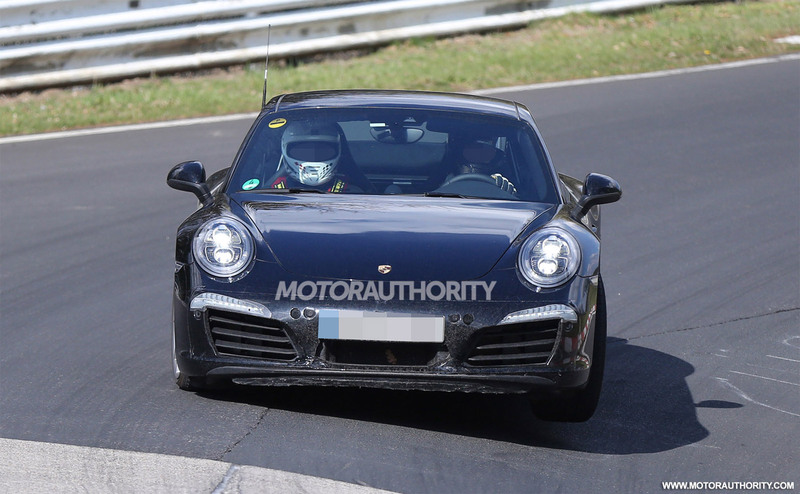 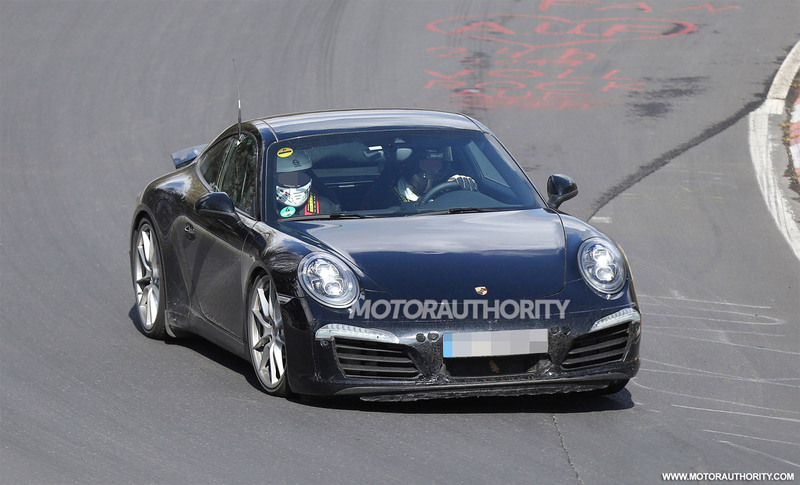 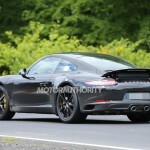 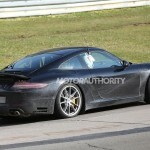 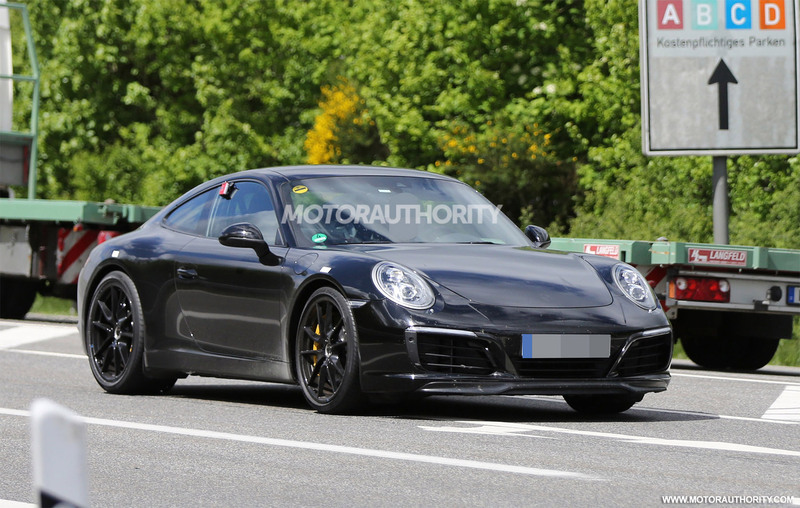 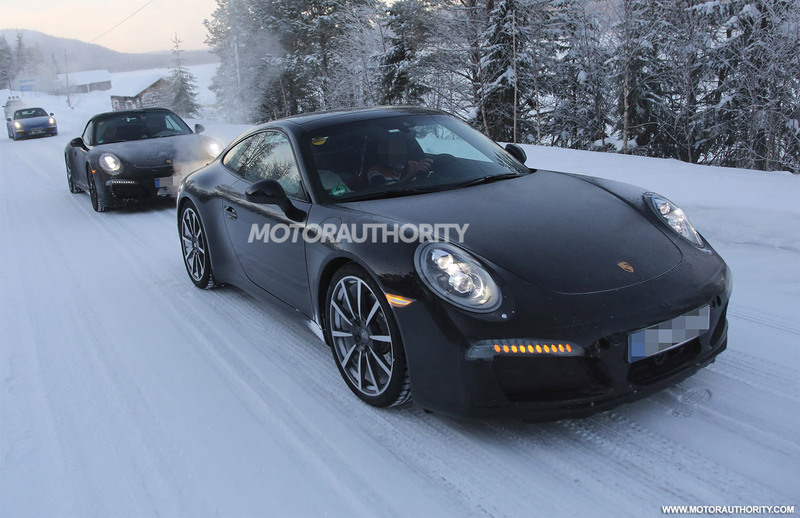 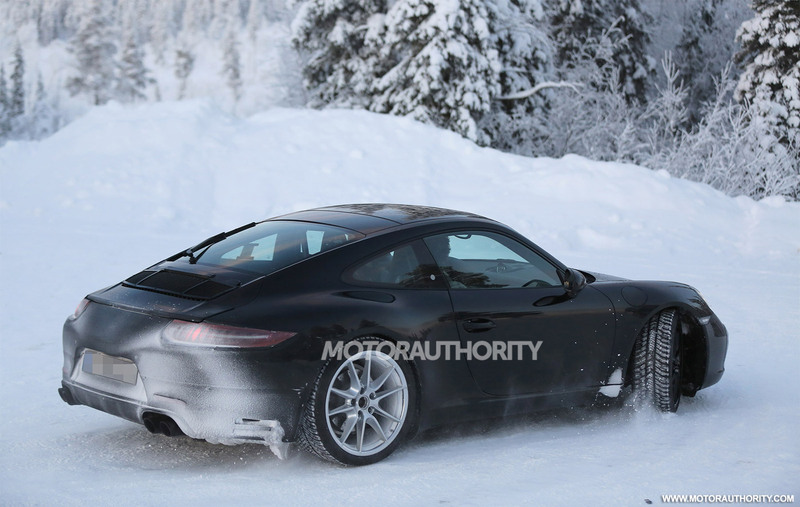 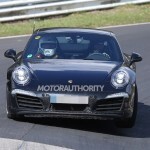 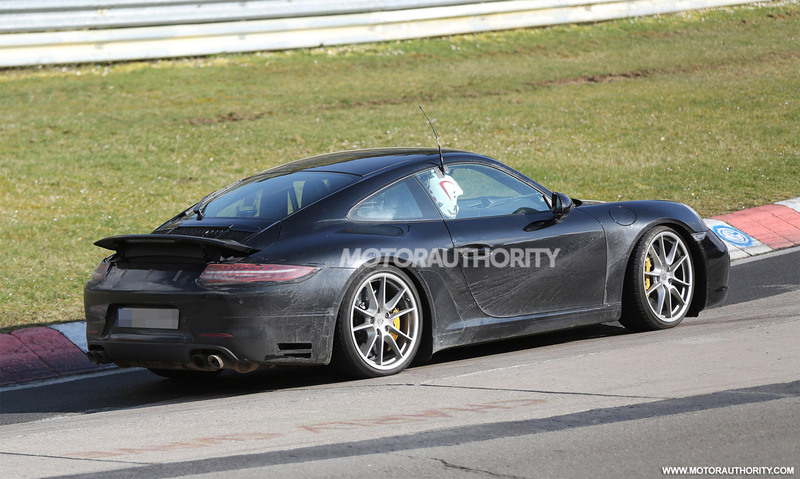 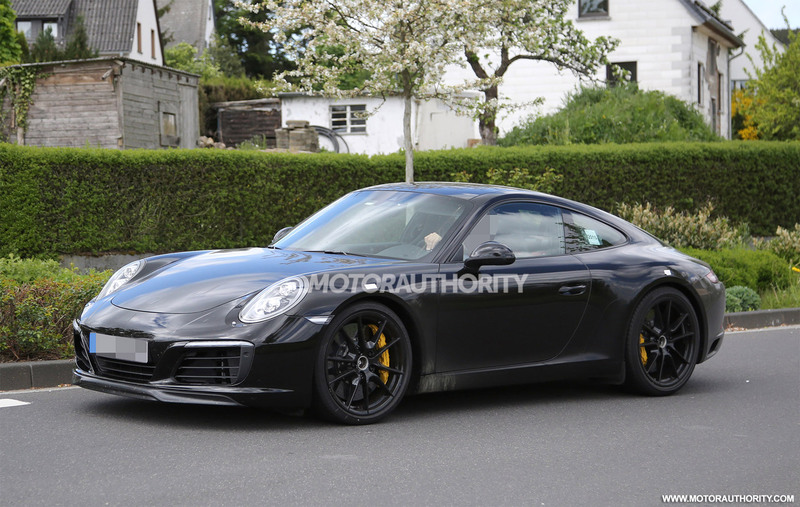 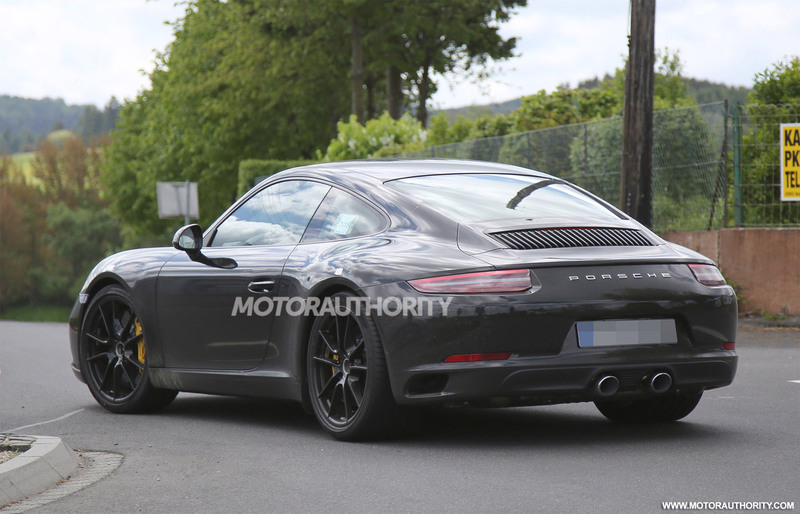 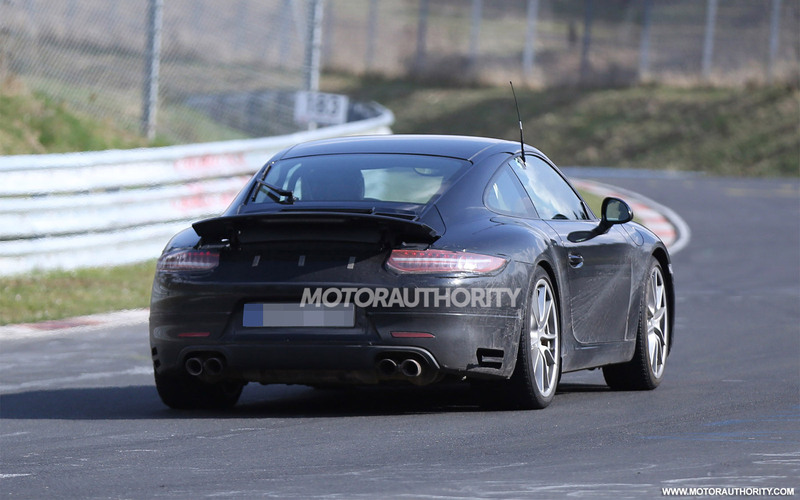 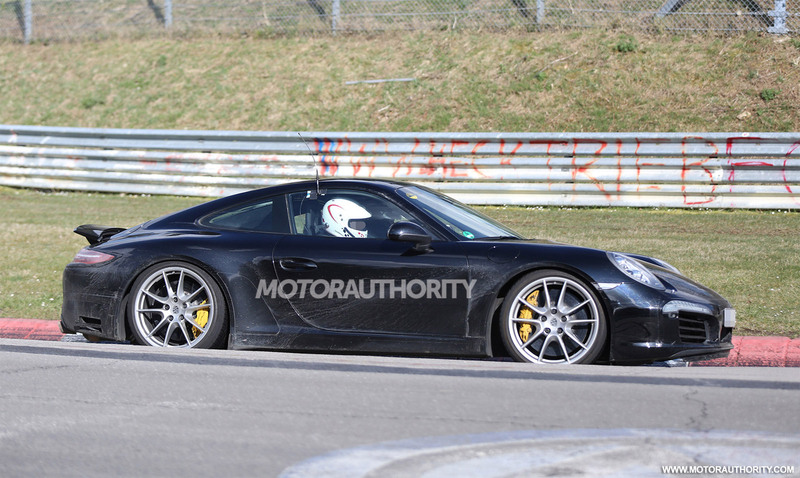 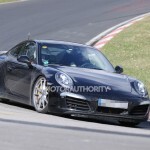 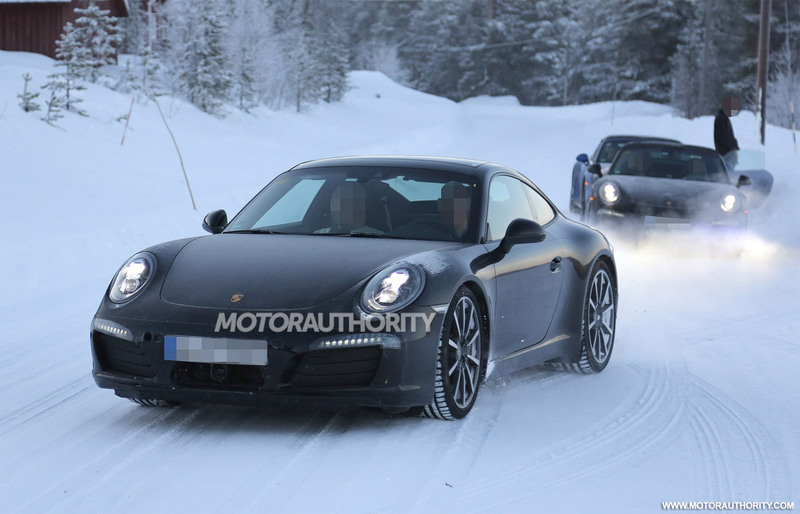 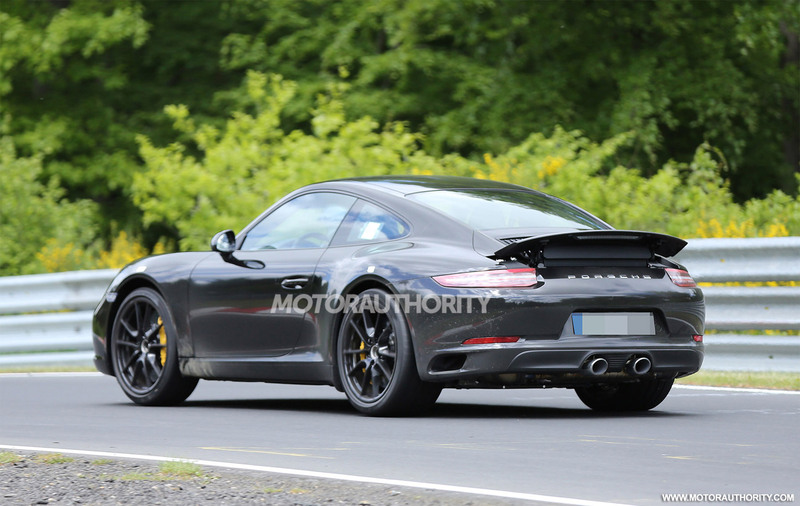 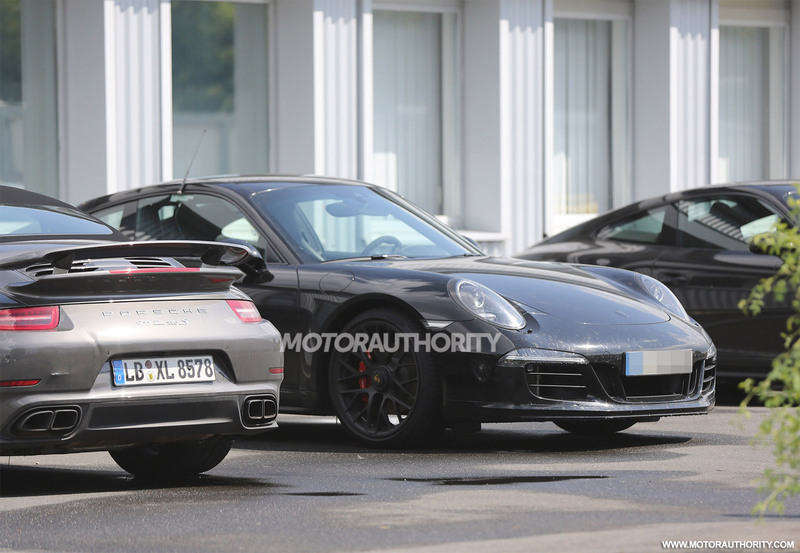 Taking a look at the 2016 Porsche 911 Carrera, one might depict that the model will receive some interesting body updates when it will set free on the market. 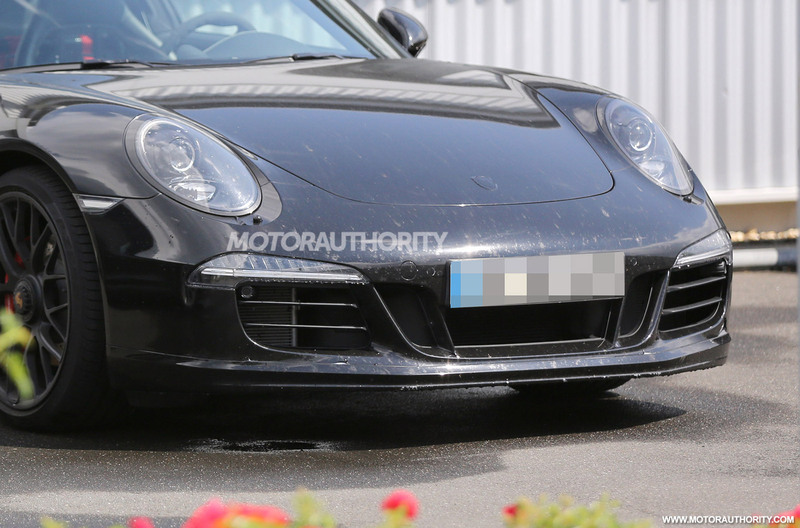 We could not miss the new daytime running lights, air intakes, or the new intakes at the side of the rear bumper. 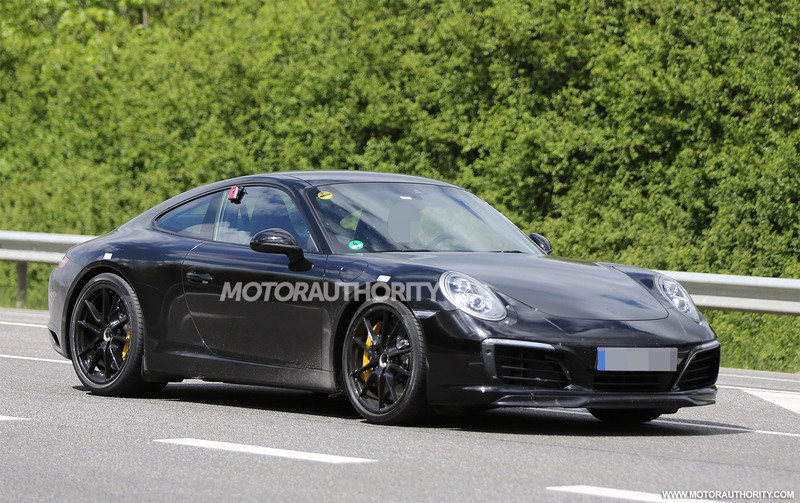 And since we are talking about a mid-cycle model, the 2016 Porsche 911 Carrera is also set to come up with some important upgrades under the hood. 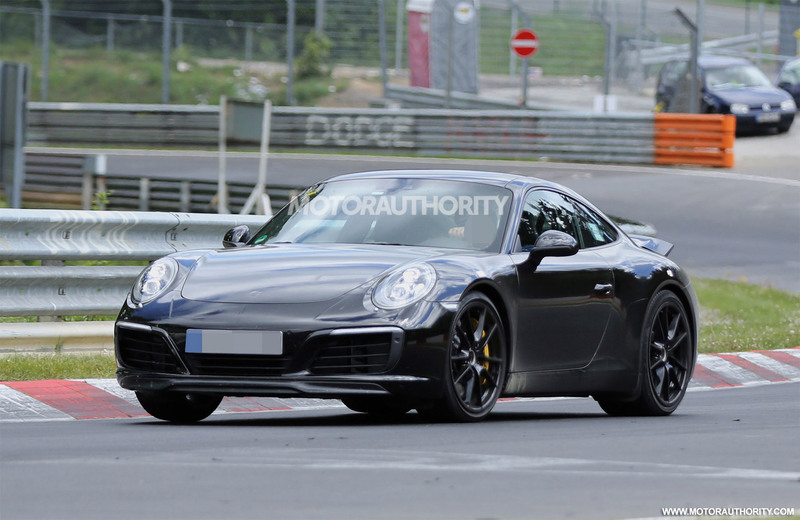 According to some recent reports, the new 911 Carrera would receive the new 2.9-liter turbocharged engine, while the 911 Carrera S would fit a 3.8-liter flat-six, with more than 500 horsepower under the hood. 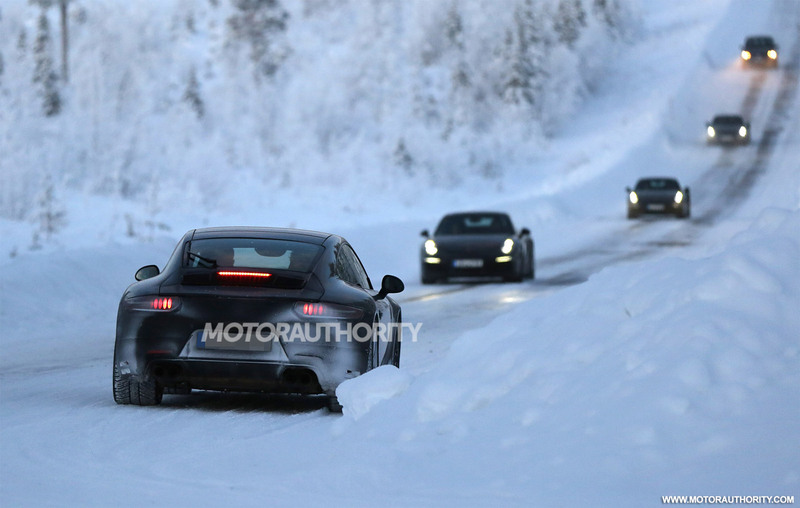 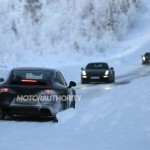 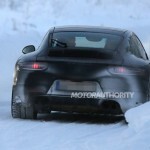 Other than the turbocharged engines which will come with a significant power increase, Porsche will also make use of the hybrid technology on its future models. 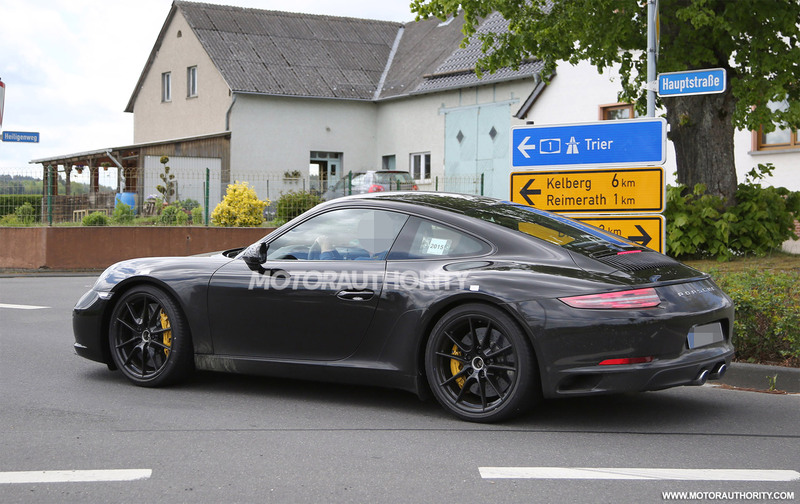 More details with the 2016 Porsche 911 Carrera will be announced at the 2015 Frankfurt Auto Show, this September.